A SUPER FANTASTIC DEAL!!! This little 824 sq. 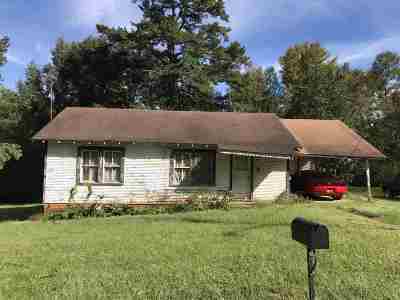 ft heated 2 BR/1bath bungalow on a .25 acre lot is occupied and currently rents for $350 per month and is listed at $18,000. The seller will make a PACKAGE DEAL on this home and include the 875&apos; 2 bed 1 bath next door that rents for $125 per month and list for $10,000... and that&apos;s not all! Seller will also throw in the four adjoining lots that are listed for $2500 each ($10,000 total)...a value of $38,000 for everything...all for the low price of $28,000!!!! The income would be $475 per month/$5700 per year..a 4.9 year return on investment! A SUPER FANTASTIC DEAL!! !